Menghetti Construction has been completing successful construction projects on time and under budget since 1995. In the last two decades, Menghetti Construction has earned a reputation as one of the California Central Valley’s most well respected construction companies. For most of our time in operation, we have specialized in public agency commercial construction. We are proud to have established a long list of satisfied clients that have trusted their most important projects to us. Today, we focus on serving commercial and industrial clients across the agricultural sector and beyond. No matter which industry we’re serving, one thing never changes: we continue to take pride in our reputation for quality construction, honest communication and our belief that excellent customer service isn’t just a necessity, it’s our privilege. Contact Menghetti Construction for a quote on your next build. Born in 1956, Charlie Menghetti is a 3rd generation Modestan. He is a 1974 graduate of Modesto High School and a 1978 graduate of Stanford University with a bachelor's degree in civil engineering. From college graduation until 1985, he worked in heavy marine construction at Peter Kiewit Sons Co. and Crowley Constructors in the San Francisco Bay and Long Beach Harbor areas. From 1985 until 1989, he served in the U.S. Navy as a flight student and fleet pilot, and from 1989 until 1991 in the U.S. Navy Civil Engineers’ Corps in Philadelphia. He returned to Modesto in 1991 working for a local building contractor until March 1995, whereupon he founded Menghetti Construction. The company specializes in commercial construction in the San Joaquin Valley. 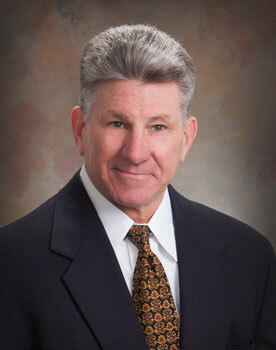 Mr. Menghetti is a member of the Stanislaus County Swiss Club and Del Rio Golf and Country Club. He’s formerly served on the boards of the McHenry Mansion Foundation, Leadership Modesto Steering Committee and Valley Builders Exchange. 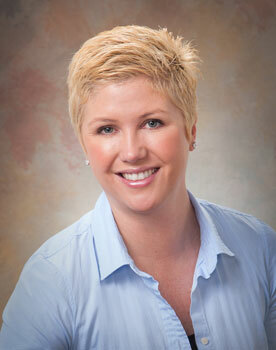 Amy was born and raised in Jacksonville, Florida and moved to Modesto in 1992. She attended Modesto Junior College and Stanislaus State University and then worked as a clerk at Menghetti Construction from 1996 until 1999 when she moved to Portland, Oregon. Amy graduated from Portland State University obtaining a BS in Psychology. Moving back from Portland in 2005, she became office manager for J.S. West Propane. She then accepted the position as office manager for Menghetti Construction. Amy is the mother of a little girl who attends pre-school here in Modesto. Aside from 4 cats and a dog, she spends her time golfing and taking care of her home in Modesto.